When buying a safe it is very important to understand the different between the safes, and the UL rating. 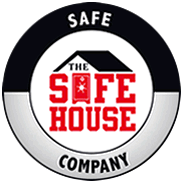 Here at The Safe House we are making sure you will get the perfect safe for your needs. Safes that protect against fire are usually made of thin steel sheets (or sometimes plastic) molded together to form an inner and an outer shell. These units are filled with an insulating material that will keep the temperature inside the safe below a certain point for a fixed period of time. Fire safes prevalent in the market today are usually one or two-hour rated safes. The “RSC” rating came about several years ago and is an actual insurance rating for a home or office safe. Unlike a fire-proof record safe that is specifically for document fire protection. With an RSC rating you know that you have additional burglary protection on your safe. Not as high as a TL-15 (Jewelry Store rating) the RSC would be equivalent to TL-5. This is a catchall rating for essentially any box with a lock on it. The safe industry had an unwritten standard of 0.25 inch body, 0.5 inch door. No tests are given to provide this rating. When buying a B-rate safe, look at things such as lock work, hard plates, and relocks. This is defined as a 0.5 inch thick steel box with a 1-inch thick door and a lock. As before No tests are given to provide this rating. Look at the lock work, relocks and other features when making your decision. Safes given a U.L. TL-15 rating have all passed standardized tests defined in UL Standard 687 using the same tools and usually the same group of testing engineers. The label requires that the safe be constructed of 1-inch solid steel or equivalent. 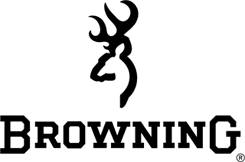 The label means that the safe has been tested for a NET working time of 15 minutes using “common hand tools, drills, punches hammers, and pressure applying devices.” Net working time means simply “when the tool comes off the safe the clock stops”. There are over fifty different types of attacks that can be used to gain entrance into the safe. These tests are essentially the same as the TL-15 tests except for, the net working time. They get 30 minutes and a few more tools to help them gain entrance. This is the UL term for testing time which is spent trying to break into a safe using tools such as diamond grinding wheels, high-speed drills with pressure applying devices, or common hand tools such as hammers, chisels, saws, and carbide-tip drills. If a safe has been rated with a 30-minute net working time, (TL30), the rating certifies that the safe successfully withstood a full 30 minutes of attack time with a range of tools. TL-30 x 6 – The TL-30 (30-minute) test is conducted on all six (6) sides of the safe. TRTL-30 – The TRTL rating designates a safe which successfully resisted 30 minutes of net working time with a torch and a range of tools which might include high speed drills and saws with carbide bits, pry bars, and other impact devices. Class 350 1-hour fire rating – To earn this rating, the safe is heated for one hour to reach an exterior temperature of 1550 degrees, then put through the cool-down test. During this time the safe must maintain an interior temperature of less than 350 degrees. Class 350 2-hour fire rating – The safe is heated for two hours to reach an exterior temperature of 1550 degrees and must maintain an interior temperature of less than 350 degrees to earn this rating. When buying a safe, the first thing to determine is what level of fire and burglary protection you need. You might start by asking your insurance company what safe ratings they require to provide you with coverage. You should decide whether you want a traditional dial lock or a digital lock. There are two kinds of ratings: Fire Ratings and Burglary Ratings. Underwriters’ Laboratories (UL) – UL is a non-profit, non-bias agency that tests and rates the safety and performance of consumer products. Safes that have earned specific UL ratings will carry a UL label which designates the product’s security and fire-protection ratings. Fire safes are made with thick, steel/concrete walls. Fire ratings are based on how long these walls can maintain the interior temperature below 350°F (since paper chars at 425°F). Fire safes are ideal for businesses that store important documents & paperwork, such as attorneys. We carry 1, 2, 3, and 4 hour rated safes.